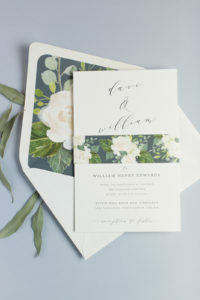 Dawn had pretty clear idea in mind of what she wanted for her wedding. 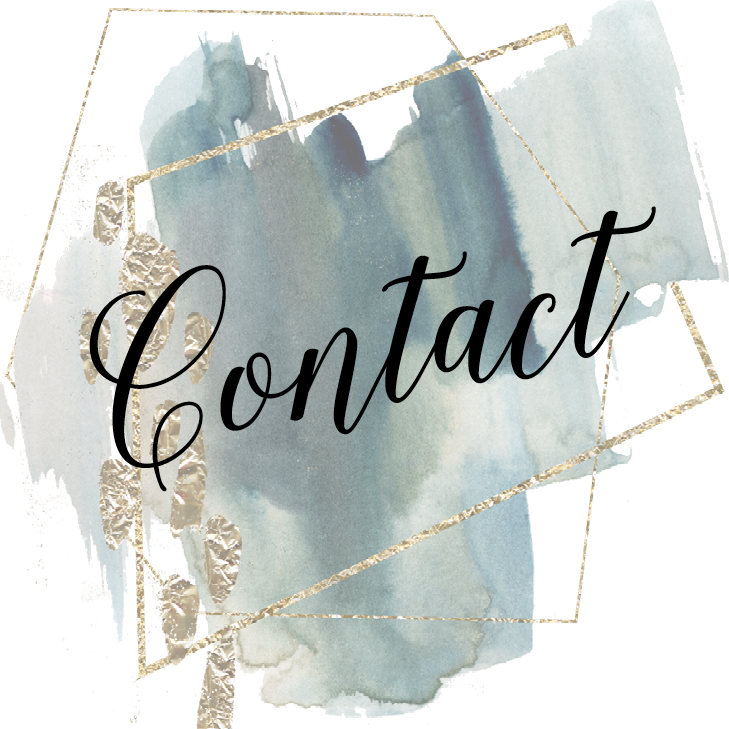 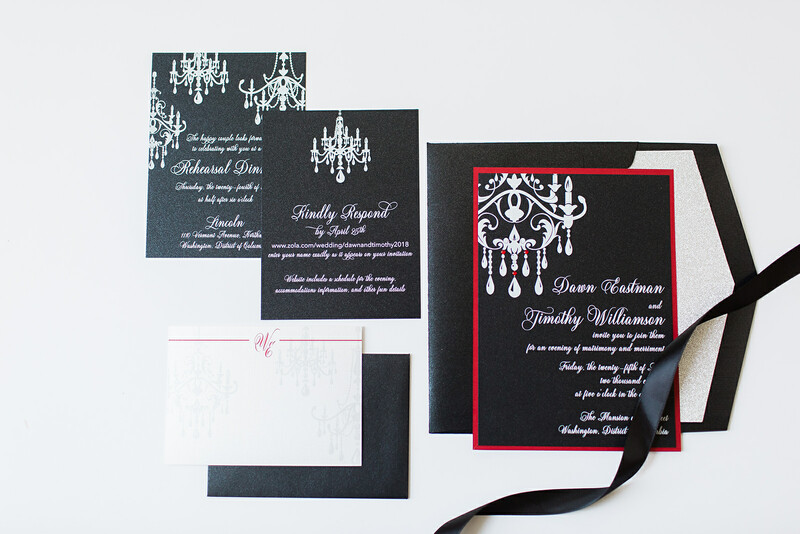 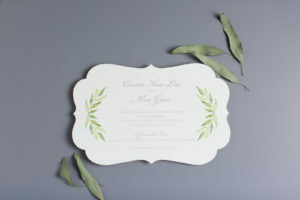 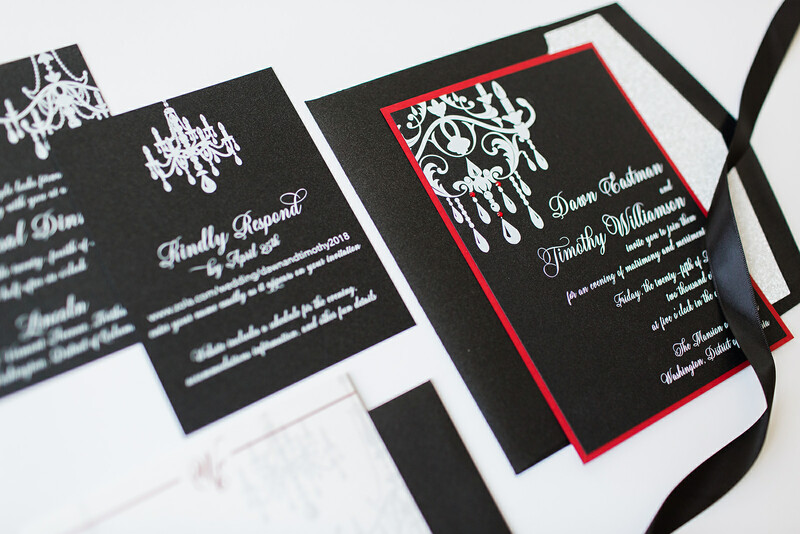 These custom wedding invitations are her vision come to life. 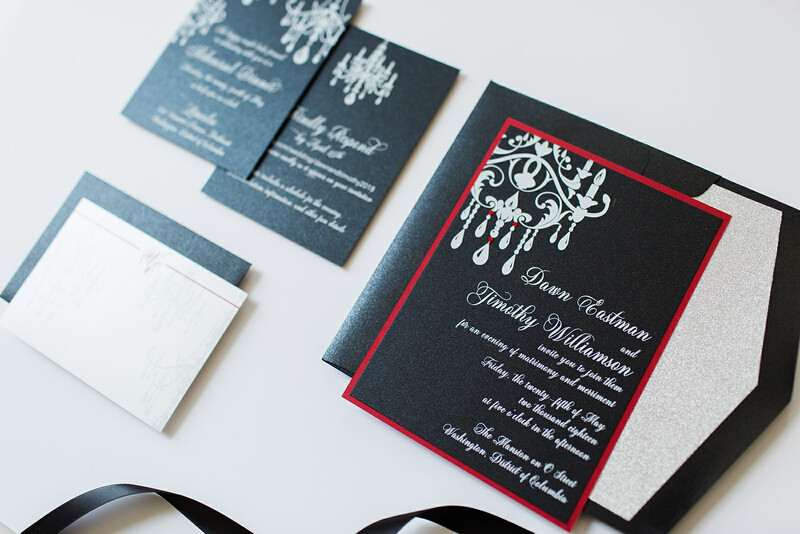 This metallic black paper printed beautifully with flat white ink. 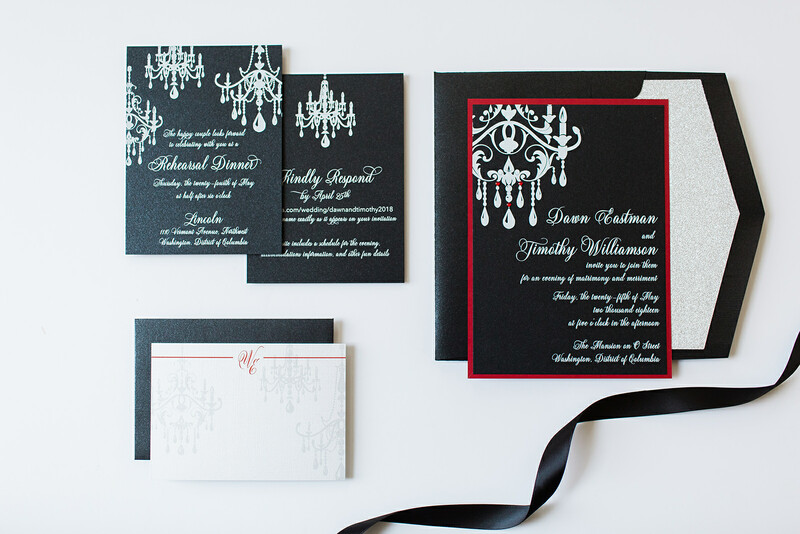 We embellished the chandelier with 3 red rhinestones, and layered onto a pretty red card. 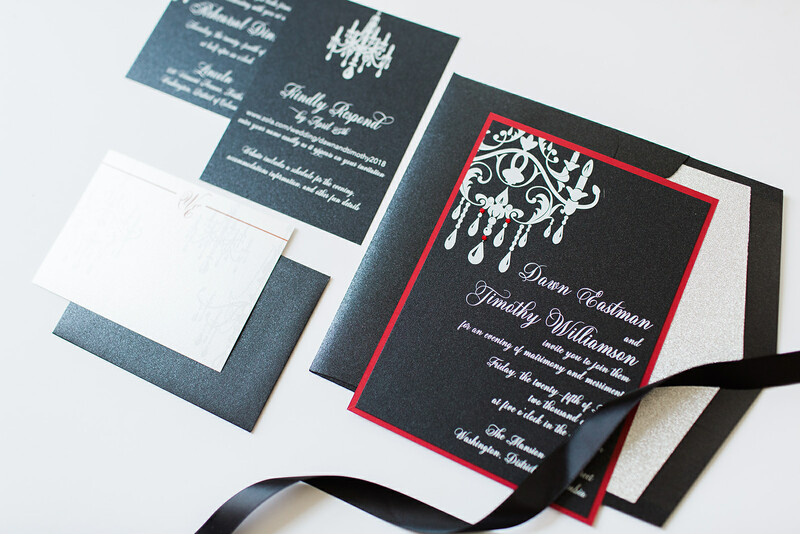 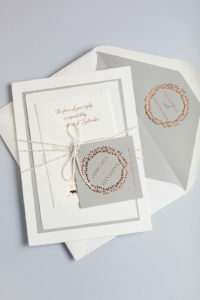 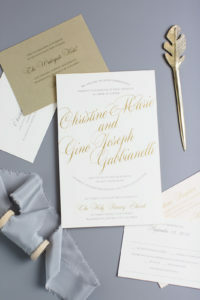 The silver glitter envelope liner added a great shimmer of elegance.